Don’t feel like you’ve missed the chance for holiday portraits, there’s still time! Some people are just super on top of things, and I've been photographing holiday sessions since October, but like me, you’re not the only one who’s now starting to consider family portraits for the holidays. I still have some weekends available in December, and with a quick turnaround time in image delivery, and some card printing companies that also have quick delivery, you can still make it!!! I’ve been partnering with Basic Invite for holiday cards this year, and everyone is absolutely loving the card designs, thousands of customizable options, fab quality and speedy delivery. I even have a discount code for my clients that will take 40% off your holiday card order…..yep 40%. That makes it so easy. You really don’t have too many reasons not to get portraits and cards done this year. Contact me asap for sessions, 30 mini sessions including 15 full resolution images are $250 and include an online web gallery where you can even order prints to make it super easy to shop for gifts as the same time. Your prints don’t have to be the same images you select for your self, WIN WIN! And don’t worry if you don’t make it for the holidays, you can always send out New Year’s cards! We are technically still in summer, but just as pumpkin flavored everything has erupted everywhere, my thoughts are turning to holiday portrait sessions. I'm sure you're thinking "the kids just went back to school, we're still settling into our routines, no way am I thinking about the holidays". I get it, we're mid September. But wasn't it just July??? The months fly by and next thing you know, it's mid December wondering how on earth you'll get your holiday cards out in time and maybe you'll just do New Year's cards (nothing wrong with that!) and why on earth didn't you just schedule your portrait session in September?!?!?!?! Let's get it take care of it now, get it done on a weekend before things really get so tight that you won't have time. With the popularity of the mini sessions last year, I'm bringing them back again this year. It's 30 minutes of photography in a South Bay (Los Angeles!) location-El Segundo, Manhattan Beach, Hermosa Beach, Redondo Beach, Torrance, the Palos Verdes peninsula, and even Long Beach. Those of you who have worked with me in the past know that I work quickly and we make the absolute most of those 30 minutes and you'll receive a web gallery of proofs where you can select your favorite 15 images. I'll take those 15 images, give them a bit of a retouch and send you the full high resolution images so you can print cards, give them as gifts and even print them to hang and display around the house. Do you live elsewhere but still want a mini session? Call me, text me, email me, message me, and we can talk about a location that works best for your family. The 30 minute South Bay Holiday Portrait Mini Session includes 15 full resolution images is $250. This year I have also partnered with an amazing online card printing company, Basic Invite, and for those booking and ordering their cards I am happy to offer 40% off your card order. YES YOU READ THAT RIGHT, 40% OFF HOLIDAY CARDS!!!! Why am I shouting?!? Cuz it’s an awesome deal with super pretty cards, you should get them. These cards are not only stunning with wonderful card stock and quality printing, but they are affordable as well!!! Woohoo! Let's connect and get your holiday portraits in the books, cross this off your list before you even have to add it on there to begin with. I love watching a little one navigate their way through their first cake. They're not quite sure what to do at first, why everyone's starting at them, why they're allowed to make a giant mess, and oh-my-goodness, what is that delicious sweet heavenly taste?!?! Sometimes some kids take some time getting into cake, some dive right in. Some get all their limbs involved, hair too, and sometimes some kids just have no interest....and I love every.single.minute. 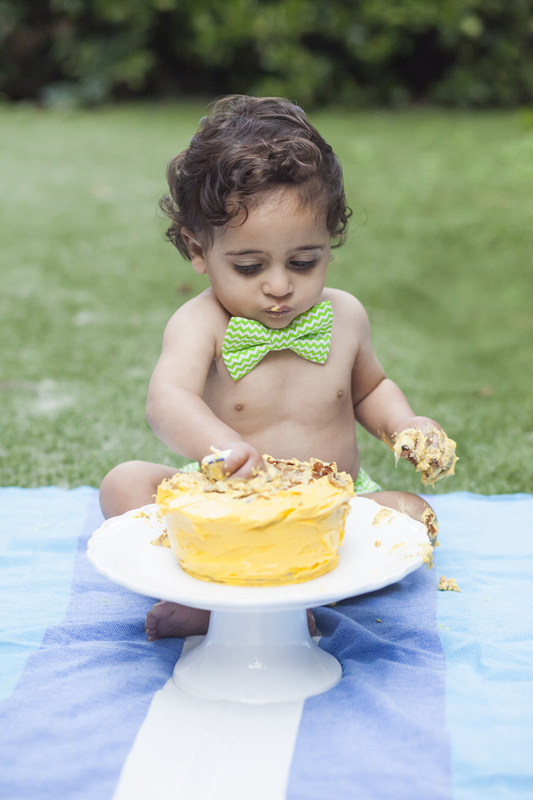 If you're thinking about having a cake smash for your kiddo, I highly recommend it! If you don't want to get a whole cake, some places (like my favorite Torrance Bakery) will create a mini cake, or just head out to the market and get a giant cupcake...it's going to get destroyed anyway! Some of my favorite cake smashes! Summer has arrived in the South Bay! The gloom burns off just a bit quicker, the evenings last a bit longer, ice cream tastes the absolute best, and the kids are home enjoying their time off. Whether your kids are in school locally, or have left the nest but have come back for some lounge time between college classes, this is the perfect time for some family portraits. For the month of July, we can schedule a quick 30 min family session on location at the beach, park or lounging at home. The session is $250, you will receive your choice of 15 full resolution images via my cloud site to print and share as you'd like. Sessions can be on location at the beach or park, or at home in the South Bay (LA not SF, those specials will come soon! ), and is limited to Family or Kids sessions only. Not for commercial sessions (headshots are considered commercial). Sessions are best reserved in advance as the mini sessions book quickly and please mention the South Bay Summer Special Mini Session when booking. I met with Elena and Kris on a super windy day in Manhattan Beach for her maternity session. This is their first little one, a girl(!) and they couldn't be more excited. They decided that while on a baby-moon in the South Bay from the east coast, a photo session would be a fun and beautiful way to document their trip. Elena even did some shopping at the fabulous boutiques of Downtown Manhattan Beach and picked up this stunning dress for her session. She wore it beautifully and to my surprise and insane joy, she was willing to get right in to the water! Oh my goodness, this is definitely a highlight maternity session!